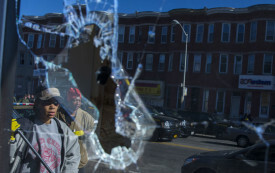 Edward Hart is a New York-based writer and editor. 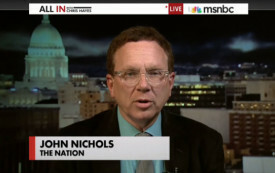 John Nichols appeared on All In with Chris Hayes Wednesday night to talk about how the minimum wage debate in Wisconsin could doom Scott Walker’s re-election campaign and tank his presidential ambitions. Shouldn’t We Know More About the ‘Experts’ Urging Us to War? Appearing on Democracy Now! 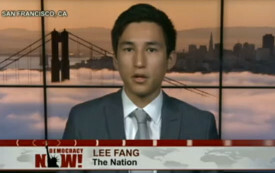 Monday morning, Lee Fang discussed "Who's Paying the Pro-War Pundits? "—his latest for The Nation.